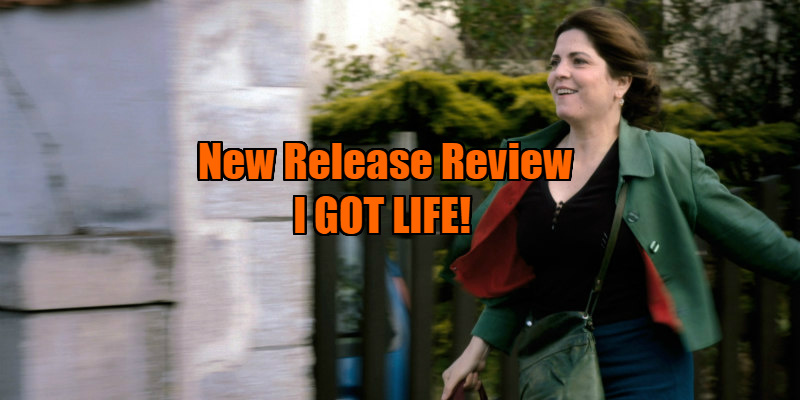 New Release Review - I GOT LIFE! A fiftysomething woman faces societal prejudice while coming to terms with middle age. 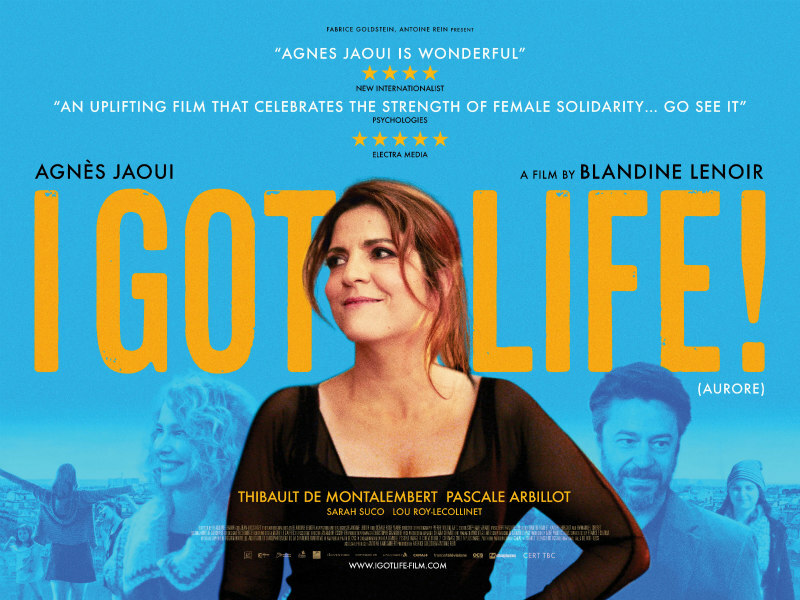 ‘You hit 30 and it’s a slippery slope’; a ruthless maxim casually explicated by a (male) character to I Got Life!’s spirited heroine Aurore (Agnès Jaoui), who is a woman just past the big five-oh and undergoing all the climacteric aspects that accompany such a milestone. Brutal, yes, but in cinema, at least, the blunt know-it-all may have a point. What roles are there for women of a certain age? For men gamely putting off their dotage the work is still there, although, perchance uncoincidentally, these roles usually involve doubling down on stereotypically masculine traits like punching people and being gruff, viz. : Liam Neeson bothering wolves, European terrorists and anyone else that gets in the way of his ongoing action renaissance. 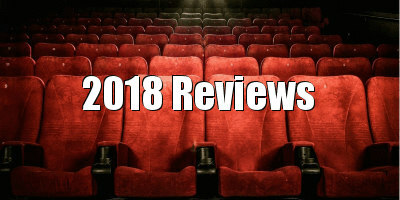 Where women are concerned, it is youth that Hollywood prizes, and fresh beauty, which it attempts to preserve through cosmetic surgery and the, often awry, obfuscation of actors playing incongruously younger (in Alexander, an ad hoc example, Colin Farrell is 11 months junior to his on-screen mother Angelina Jolie - yikes!). Middle age is the era which is largely absent from representation, specifically films about women entering this rather grim stage of life (American Beauty and suchlike attempt to romanticise the male midlife crises, of course), so it is a welcome, perhaps necessary, novelty that ex-actress Blandine Lenoir’s I Got Life! provides. Jaoui’s character is menopausal, soon to be unemployed and almost a grandmother. She’s single as well, with her two daughters about to flee the nest. It’s a thankless time, this mid-life era. And, in the film’s La Rochelle setting, it’s a man’s world too. An early sequence shows Aurore, along with her fellow (younger) waitresses, being aesthetically appraised at work by a sleazy café owner, and even renamed in order to make them sound sexier in this supposed ‘lido of love’ (?) where people just come to get a flat white and a bun (Aurore is rechristened as the supposedly more sensual ‘Samantha’ - again; ?). Then there’s the bone idle, self-proclaimed DJ boyfriend of Aurore’s daughter, the handsome childhood sweetheart of Aurore who dictates their reunion on his terms, and the flaky ex-husband who’s happily having it off with his new partner (significantly younger then him, natch). As we negotiate this world of hot flushes and the gender pay gap, and where women of a certain age are invisible, there is the dangerous potential for I Got Life! to mutate in to a polemic. But the joyous performance of Jaoui and the deft, light touches of Lenoir transform such conceivably sour material into delightful comedy. For instance, there is a sly running joke where a sliding door won’t open for Aurore in the automatic manner it does for everyone else, a clever simile which neatly communicates everyday frustration in a way that a pompous preach could never (another cute visual joke, also featuring a door oddly enough, involves Aurore coming home to the cringeworthy sounds of her daughter shagging, to which she stoically exits the house, re-entering with a slammed door and a loud ‘Je suis à la maison’!). And the latent privilege of Aurore and her middle-class pals are gently dealt with too, when, during a characteristically jolly convo with a black colleague, it is cheerfully pointed out to Aurore that ‘you whites learn about discrimination with age’ - ouch! Yes, it is the type of film where men are mainly priapic and silly, but, come on, have you met men? There’s more than a kernel of truth to Lenoir’s depiction. And that isn’t the point anyway, as this is a film about women, which reserves its fuller portrayals for these characters: at one point, Aurore and the pregnant daughter argue, with the quarrel clumsily oscillating between anger and affection in a way that is heartbreakingly recognisable to real life, but not really to cinema. Our guide through this tragi-comic hinterland is the incredible Jaoui, who imbues Aurore with soft beauty and warm dignity, making this film about very real fears, and very frustrating social injustices, an utter joy to watch. I Got Life! is in UK/ROI cinemas March 23rd.